With kids out of school for the summer, parents may find themselves shuttling children to and from activities more often. Whether you’re driving to the pool or running errands, the safety of your precious cargo is likely of the utmost importance. Summertime brings an increased risk of hot car dangers, teen driving accidents, and other preventable tragedies. To make sure your kids stay safe en route to their destination, be sure to heed the following kid-centric car safety tips. Roughly 800 children died from heatstroke after accidentally being locked in hot cars between 1990 and 2015, according to the nonprofit safety group Kids and Cars. To keep from crawling into a vehicle that is too hot, remember to lock your car doors and keep the windows up. Additionally, be sure to hide your keys from little ones who may be tempted to treat your keys like a toy. More than a quarter of kids who died of heatstroke in cars got into the car by themselves, according to Kids and Cars. But even a few minutes in a hot car can be too much. In just ten minutes, a car’s interior can heat up by more than 19 degrees. Consider buying a fake set of keys for kids to play with, and teach them that cars aren’t toys and shouldn’t be played in. Summer jobs, movie dates, and other activities may have teens behind the wheel more often. But a moment of distraction can lead to a fatal crash. As we reported, distracted teen driver accidents spike 15% between Memorial Day and Labor Day compared to the rest of the year. That’s why it’s important to remind your teen about safe driving habits, like wearing a seatbelt and refraining from texting while on the road. You might think that it’s impossible to forget your child in the back seat of your car, but it can happen to even the most dutiful caretakers. Forgotten Baby Syndrome is where the parent completely loses awareness that the child is in the car. Whilst running errands -- lost in thought and on autopilot -- the brain’s habit system can get suppressed, causing them to lose awareness of important details like their child being in the back seat. “These different brain systems actually compete against each other,” David Diamond, professor of psychology, molecular pharmacology and physiology at the University of South Florida, told ABC News. 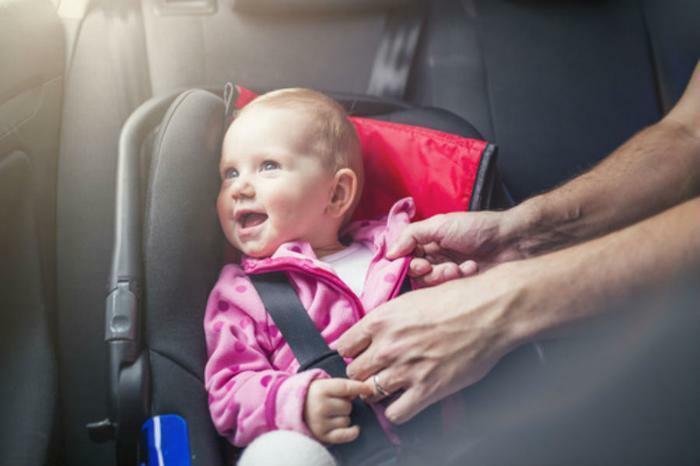 To keep yourself from forgetting a sleeping child in the back seat, experts recommend making a habit of leaving something else vital, like your purse or phone, in the backseat with your child.